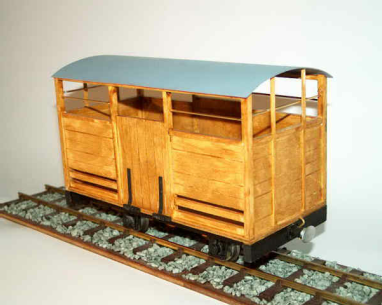 Constructed mainly from wood with white metal buffers and axle boxes (with brass bearings), and with steel wheels and axles, this model is a substantial size and suitable for use with larger 16 mm and G gauge locomotives. All the main wooden parts are cut to size and ready planked, and only the strip wood used for detailing requires trimming by the builder. 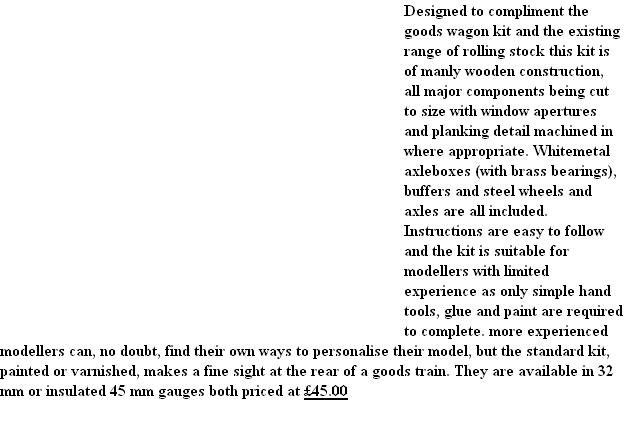 Airfix style exploded drawings supplied and construction requires only simple hand tools; a ruler, sandpaper, a small set square, a modelling knife, glue and paint are all you need. 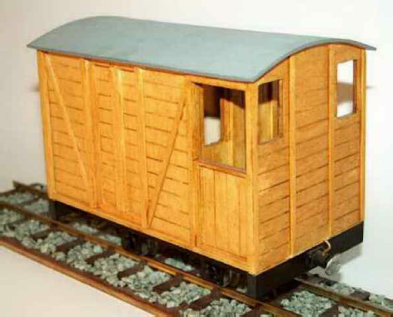 The kit makes an ideal beginners project, but could also be useful to the experienced modellers who want to indulge in a bit of kit bashing to produce something unique.